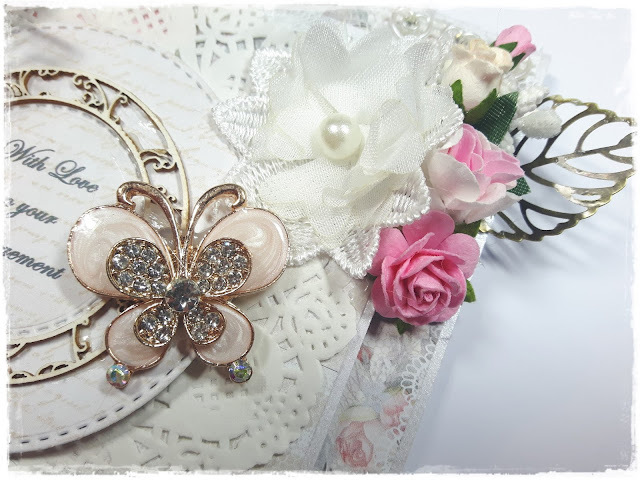 I have a card to show you today showing some of the many gorgeous embellishments available from Noor Design UK. Lots of new products have been listed in the store including some gorgeous paper pads from Studio Light. If you would like to take a look, you can find them all on the link below. 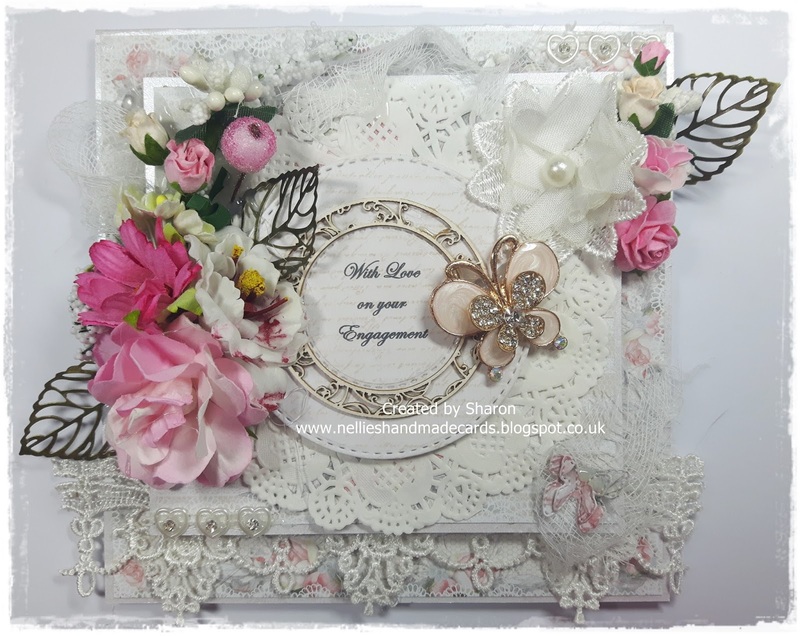 For my card today I used the chipboard frame is from Scrapiniec which is part of a 5 piece set. This has been mounted onto the fantasy circles die. You cannot see clearly on the photo but the enamel butterfly is beautifully sparkly. I really had a tough time using it because I wanted to keep it to admire its beauty. Oh well, I will just have to order some more. The heart and diamante pearl string has been cut down and added to the bottom and top of the card. This is so delicate and pretty. I cut one of the flowers from the Allyce white lace and added it to the flowers on the top right. Again I have used some metal leaves which can be manipulated to add dimension. 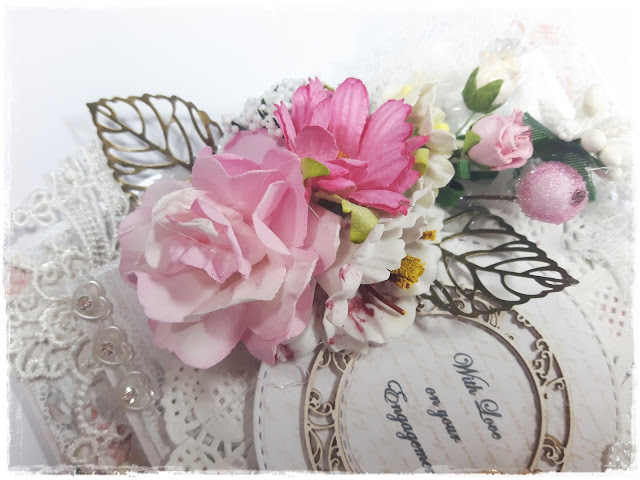 A link to all the flowers and embellishments used can be found at the bottom of this post. 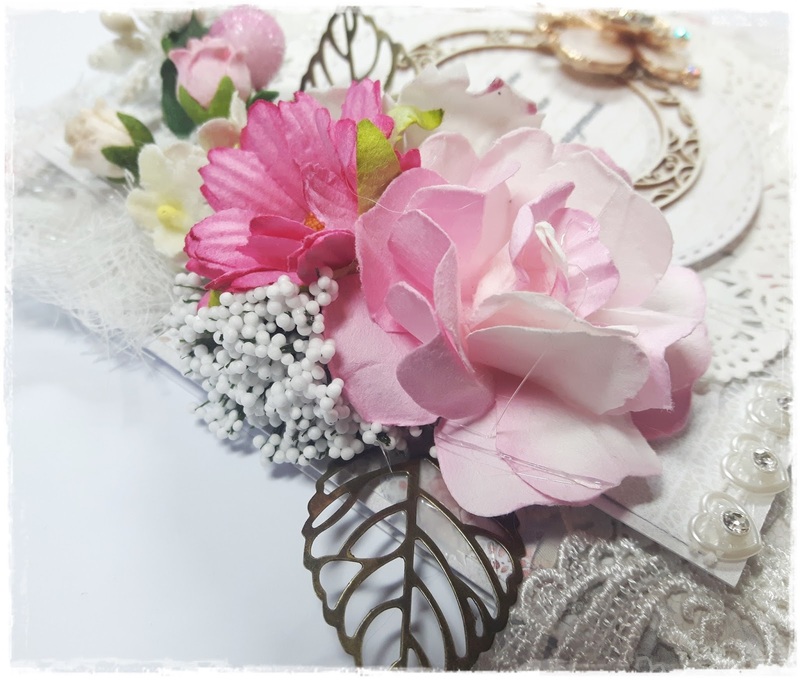 I recently purchased the large pink rose below which is a fabulous size for projects at 35mm. I hope you all enjoy the rest of your week and I will see you again soon. Sharon this is a beautiful card. I studied every photo carefully, stunning work.